Apparently body parts and sexual preference are the real qualifiers for seeking public office. 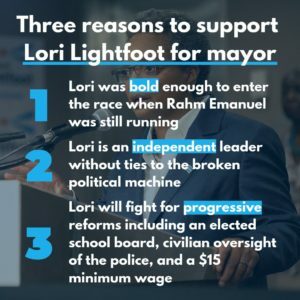 “Lori Elaine Lightfoot (born August 4, 1962) is an American politician who is currently the mayor-elect of Chicago. She has worked in private legal practice as a partner at Mayer Brown, and held various government positions in the city of Chicago, most notably as former President of the Chicago Police Board. Lightfoot first entered the public sector as Assistant United States Attorney for the Northern District of Illinois. She cites several reasons for entering public service, including a desire to represent the African-American community, a sense of injustice based on the murder of a family member by a Ku Klux Klan member in the 1920s, and her older brother’s struggles with the law. While working as a federal prosecutor, Lightfoot assisted with Operation Silver Shovel, an FBI investigation into Chicago corruption. She helped to convict alderman Virgil Jones. Lightfoot was issued a warning for misconduct by judge Richard Posner in a case in which she was found by the United States Court of Appeals for the Seventh Circuit to have misled a United States Circuit Judge regarding a suspect’s whereabouts, making it impossible for the judge to stay the suspect’s extradition to Norway. Lightfoot and the Justice Department at the time disputed this characterization of her actions. 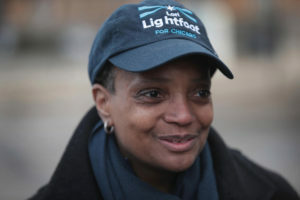 Chicago voted overwhelmingly for Lightfoot as she received almost 74% of the votes, yet voter turnout was an almost historic low. 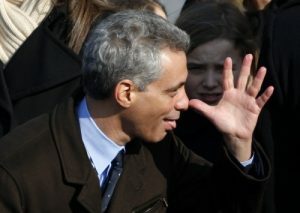 I don’t live I Chiraq so I don’t have skin in their game. But good luck to y’all who believe that a “progessive” – with a career spent almost entirely in the government sector (a brief stint in private law practice) – is going to be that “independent” leader who can magically end corruption in Chicago.